MP Simon Oyet commissions the motorised borehole at bank lane in Gulu last week. Irene Abalo. GULU. 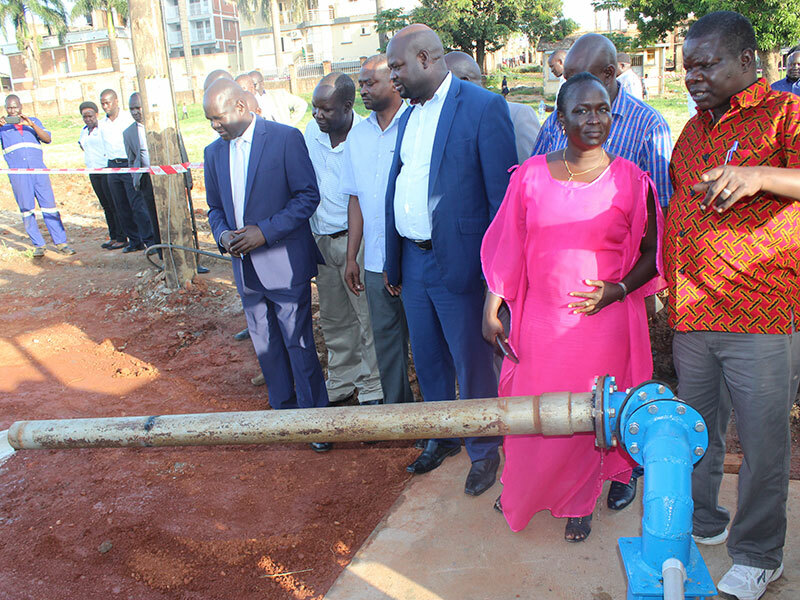 Legislators have lauded the drastic measures National Water and Sewerage Corporation (NWSC) has undertaken over the last six months to avert water crisis in Gulu District. Between December and January Gulu was hit by water crisis that left legislators on the Committee on Natural Resources dismayed. The legislators had then put NWSC to task to ensure that the large water volume in Awere sub-ward Laroo Division in Gulu Municipality is utilised to minimise shortage during dry season. “While we were looking for strategic places to drill water, we didn’t know that we have water on our land within the town at bank lane,” said Eng. Johnson Amayo, deputy managing director of NWSC. In May, NWSC injected Sh274 million in drilling a borehole at their site behind Kakanyero hotel. The motorised borehole was commissioned on Wednesday with capacity to produce 50,000 litres of water per hour. Officials said the site has the largest volume of water ever discovered at a single site in the country. The borehole targets to supply areas of senior quarters, Kitgum road, and Alur road in Gulu town through pumping enough water to their main supply tanks. 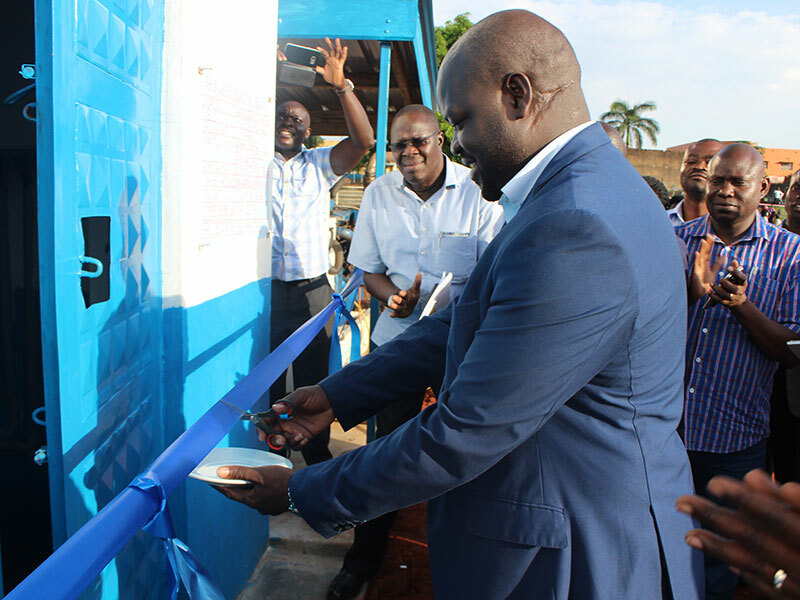 NWSC also launched a new project dubbed, ‘Gulu Water Supply and Sanitation,’ to improve water and sewer services in the municipality and surrounding areas. The Sh18 billion project is being undertaken by Chinese firm, Weihai International Economic and Technical Cooperation Company, on the scope of water and sanitation. They are expected to complete the works in 18 months by upgrading and expanding the existing water treatment plant from a production capacity of four million literes to 10 million litre of water per day. Eng. Amayo said population increase in major towns across the country where NWSC supplies water has strained existing infrastructure such as that in Gulu town, hence a need for expansion and establishment of new facilities. “Over the last four years, we have experienced rapid population growth in Northern Uganda that demands our service. We now want to refurbish the existing water treatment units, build new water treatment line, upgrade and replace existing electromechanical equipment and construct a new chemical house,” Eng. Amayo said. He told the parliamentary committee members during a meeting in Gulu last week that the water crisis that strained Gulu for over three months early this year were due to a prolonged drought that requires proactive measure to prevent re-occurrence. 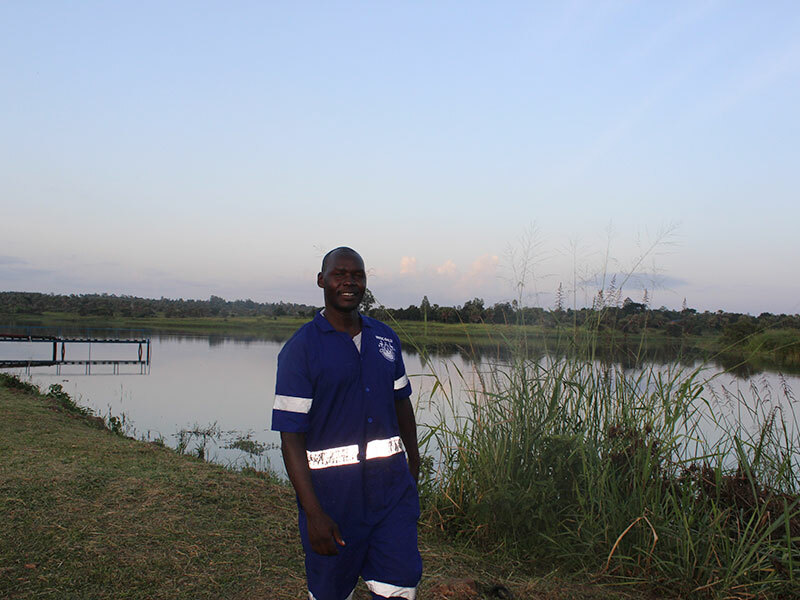 Stephen Gang, Gulu water area manager, told PML Daily that Oitino II water reservoir that was constructed two months ago to boost the capacity of Oitino I did not have water. The dam has a capacity to hold three million litres of water that can supply Gulu for only a day. “The good thing with this dam is that it has an inflow that can refill itself within a day,” Gang said. The Sh50 million Oitino II was constructed to supplement the supply by Oitino II. The water works where the treatment plant exists is about 7 kilometres from the two dams, allowing NWSC to pump over four million litres of water from the dam for Gulu town. Eng. Amayo said the expansion and refurbishment project will increase the capacity of the two dams to produce over 10 million litres of water per day. 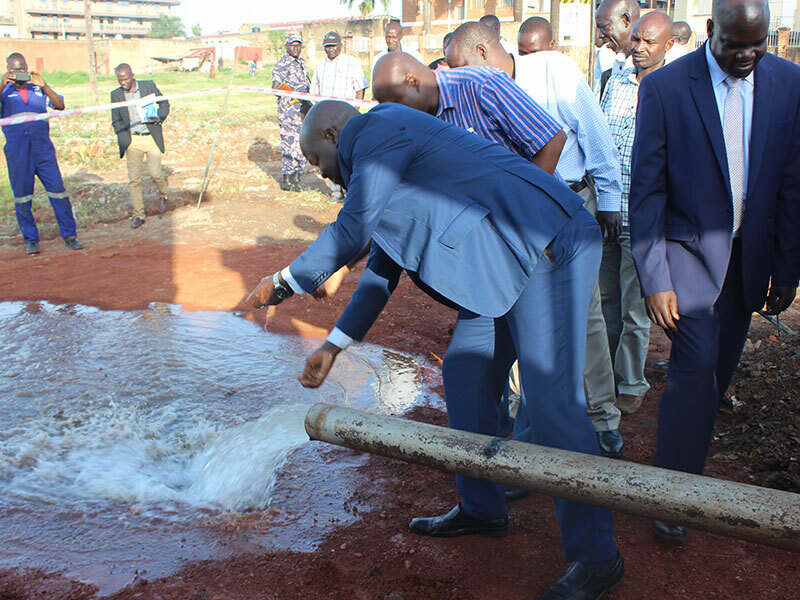 Simon Oyet, Nwoya District MP, who represented the chairperson of the committee at the tour of the water projects, said NWSC has proved to the country that it is possible to have a national corporation. “We know that water is life. That is why we are here to support the initiative to have water services for our people and you are our pride,” the MP said. The 20-member committee on natural resources is mandated by Parliament to oversee the activities and programmes of the ministry of water and environment. NWSC has a long-term plan of constructing a bulk water transmission pipeline with a new intake along the River Nile at Karuma to supply water to Gulu, including branch off-systems at six small towns and a number of rural growth centres en route Gulu from Karuma. This development is expected to improve the volume of water supplied to consumers to 30,000m3 per day.